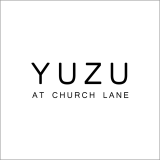 Open for lunch and/or dinner 7 days a week, Yuzu can be found in Collins St.
Yuzu is formed around the concept of fusing traditional Japanese flavours with the “multicultural melting pot” of Melbourne. A warm environment you won’t want to leave and an exciting fusion of fun flavours and culture, Yuzu can be defined as a representation of Melbourne itself. Sourcing the highest standard and the freshest seasonal ingredients, the menu and the staff are inspired by the common interest of natural goodness and quality that you can taste. Try the Yuzu variation of all kinds of reinvented traditional dishes or signature dishes including Orange Duck, Wagyu Steak and lamb rack paired with wasabi sauce. Pair it with a $10 cocktail during the 5-7pm happy hour! The experienced staff come from all kinds of different culinary backgrounds and each add their own flavour to the Yuzu fusion experience. This creates an unreplicatable and unique dining experience that should not be missed by any diner. Visit Yuzu for cuisine with passion, culture and innovation!